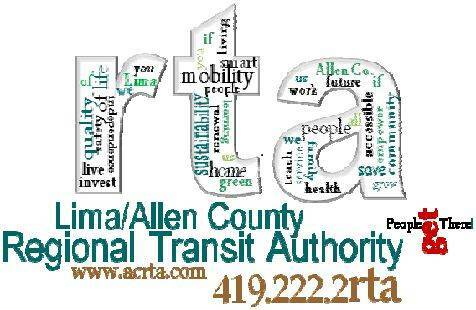 LIMA — If voters reject a levy that would increase Allen County’s sales tax rate by 0.1 percent, the Allen County Regional Transit Authority will have to prep for shutdown, according to ACRTA Executive Director Shelia Haney. “We won’t continue to function if it doesn’t pass,” Haney said to the transportation agency’s executive board during its March meeting, stressing the importance of board member’s involvement in an upcoming campaign meant to highlight the importance of ACRTA for the region’s workforce, quality of life and economic development. “I’m very positive this (levy) is going to pass,” Haney said. With two months prior to the May 7 election that allegedly decides its fate, the ACRTA is looking to kick-off its levy campaign next Wednesday. Campaign committee member Leslie Rigali gave a quick update to the board about the committee’s preparations that involve targeted canvassing, crafting a social media campaign, designing yard signs cinching endorsements. So far, the group has received endorsements from a number of community groups — the Lima-Allen Regional Planning Commission, Activate Allen County and the Bath Fire Department as well as the majority of the mayors representing the municipalities throughout the county. Rigali said Mayor David Berger reached out to mayors throughout the county and presented them with the number of riders from each community. A common misconception is that the ACRTA serves just Lima, and presenting the rider information helped gain the campaign new supporters, Rigali said. “When you start quoting these numbers to people, they are just absolutely amazed,” Haney said. The ACRTA’s May sales tax levy would raise $1.6 million for the transit authority annually and would reinstate weekend and night routes, which were cut in 2018 and resulted in decreased ridership numbers throughout last year. Since those numbers determine the funding levels for federal transit grants, the public transportation service has been caught in a cycle of diminishing services if the trend isn’t reversed. The ACRTA sales tax levy is the only countywide decision on the ballot for the primary election to be held May 7. In related news, Allen Economic Development Group President/CEO Dave Stratton was sworn in as an ACRTA board member. “(Allen County) commissioners asked me to bring a good understanding of finance and business to the board,” Stratton said. In 2018, the transit authority began an initiative that would secure additional contracts with businesses to shuttle workers, especially to manufacturers located on cut routes. Since initial conversations began, response has been lukewarm. Stratton said he would be involved in reinvigorating such talks to see how the ACRTA can be beneficial to those businesses with workforce needs.